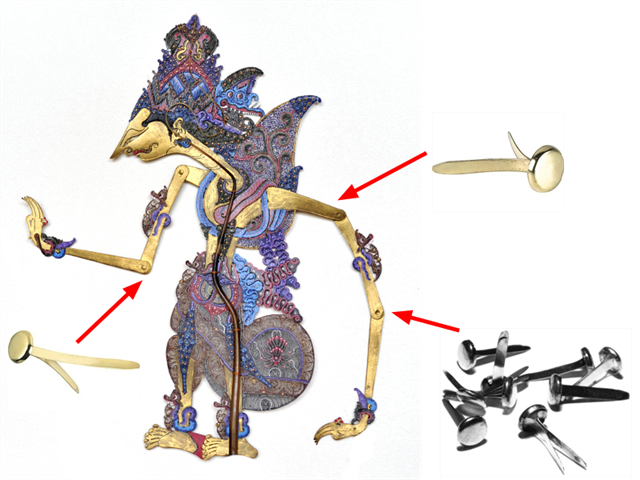 The Toon Boom Studio cut-out puppet principle is very similar to cutting up a character drawn on a sheet of paper and assembling the pieces using little brass fasteners. You create a drawing for each character's body parts and attach them in the Timeline view. Then, you can articulate the character and animate it by giving it a slightly different pose on each frame.